Eastwood’s Bar, located off McKinney Avenue in Dallas, has been nicknamed “Uptown’s Living Room” for good reason. Sit inside in a cozy leather booth or outside under the misters on the large patio, and you’ll instantly feel at home. The inviting local spot is just as friendly to dogs as it is to humans. 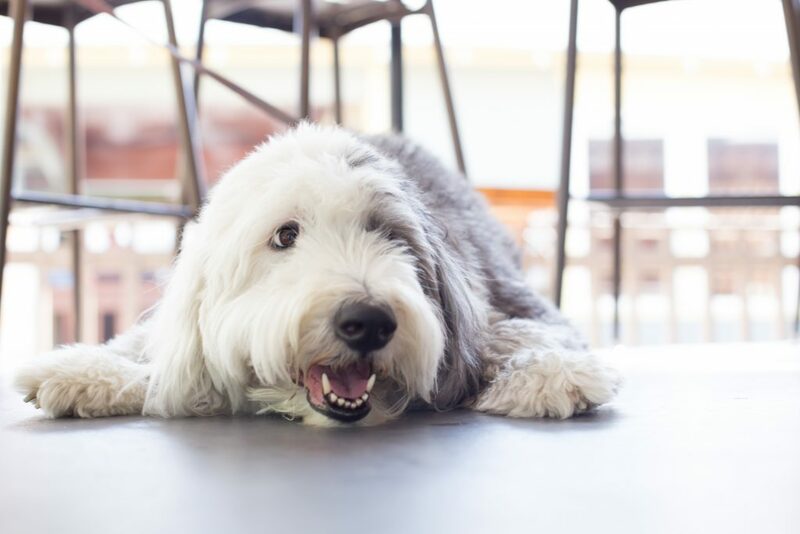 Bring your fluffy friend (or brewery dog as we did) and you have the option to order a meal for them, too—either fresh chicken and eggs or beef and eggs. No worries if you don’t feel like splurging, they’ll still bring out bowls of water and dog biscuits to keep your pup busy. Looking for some brunch? 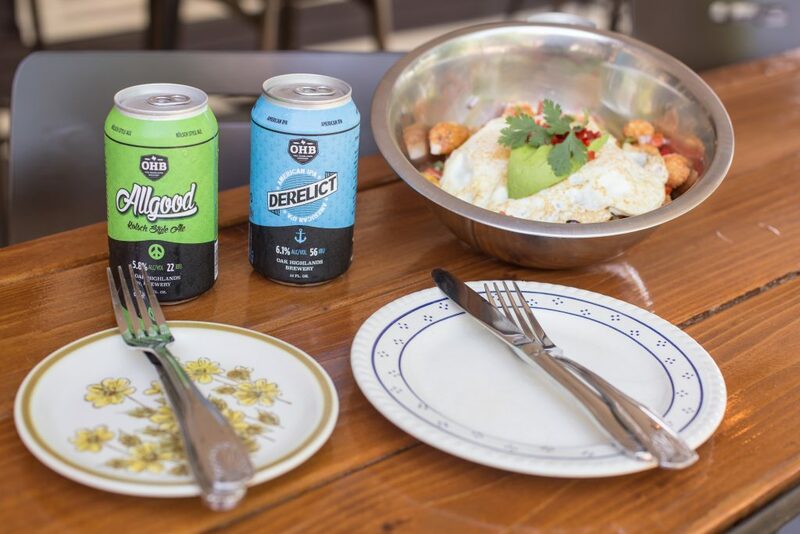 They offer a delicious food and drink menu, including a Manmosa made with Allgood, blue energy drink and oranges. And in case we couldn’t love this place enough, three of the four tap handles in the bar are currently occupied by OHB!